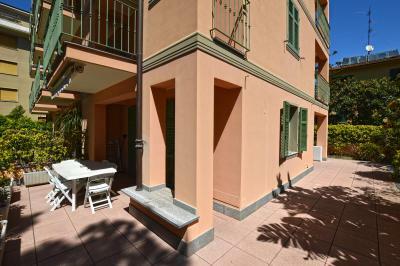 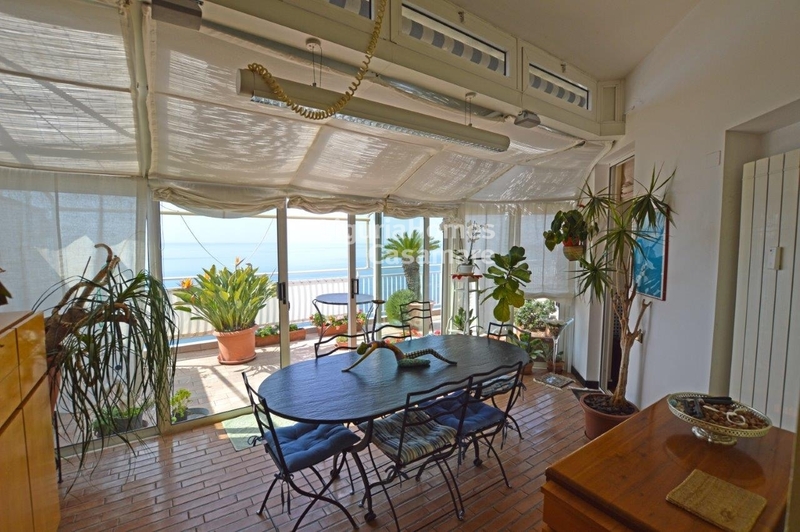 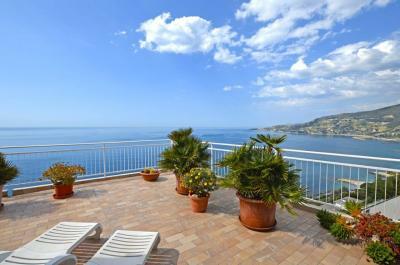 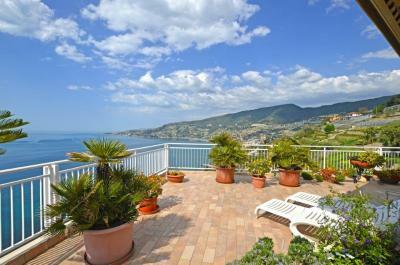 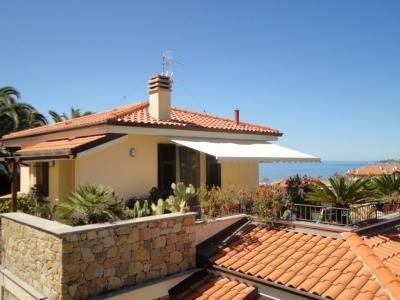 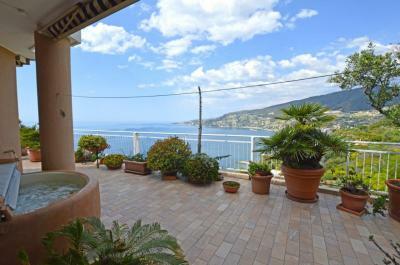 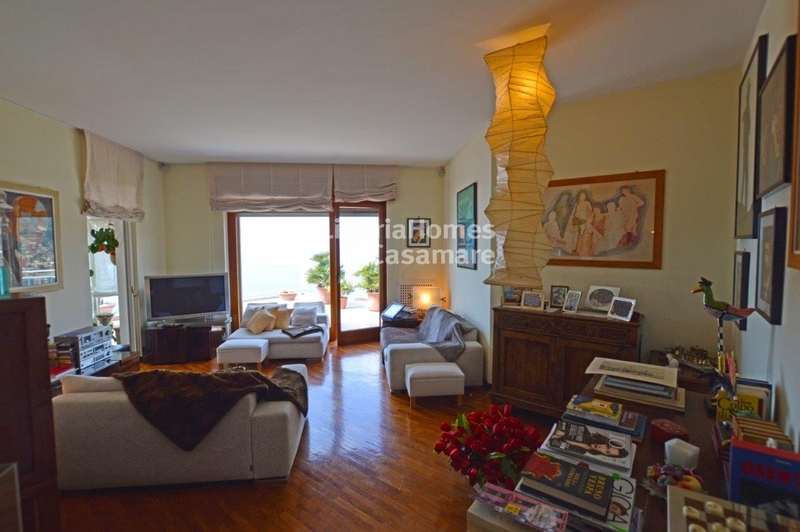 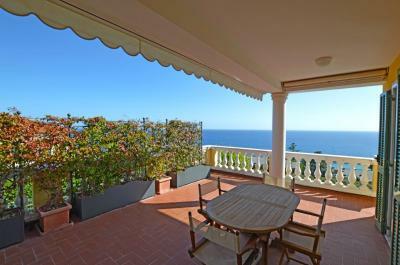 Penthouse with a big terrace and seaview for Sale in Liguria, Ospedaletti, Italy. In one of the most beautiful areas of a lovely Italian resort - Ospedaletti, which is located on the famous Ligurian Riviera, a spectacular penthouse with a large terrace and a stunning seaview over the Ligurian Sea up to the French Cote d'Azur. This wonderful penthouse with terrace and a seaview for Sale in Ospedaletti, Liguria, Italy, is completely renovated and is situated in one of the finest condominiums with its closed territory, swimming pool and a concierge-service. 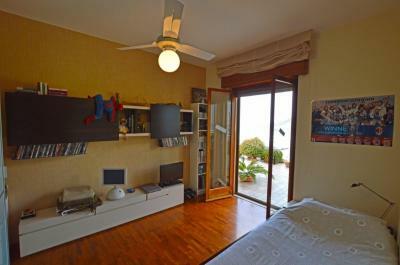 Accomodation includes: entrance, living room with dining room, kitchen, 3 bedrooms and 3 bathrooms. 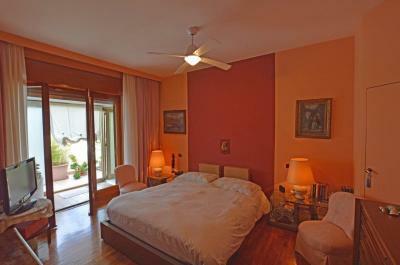 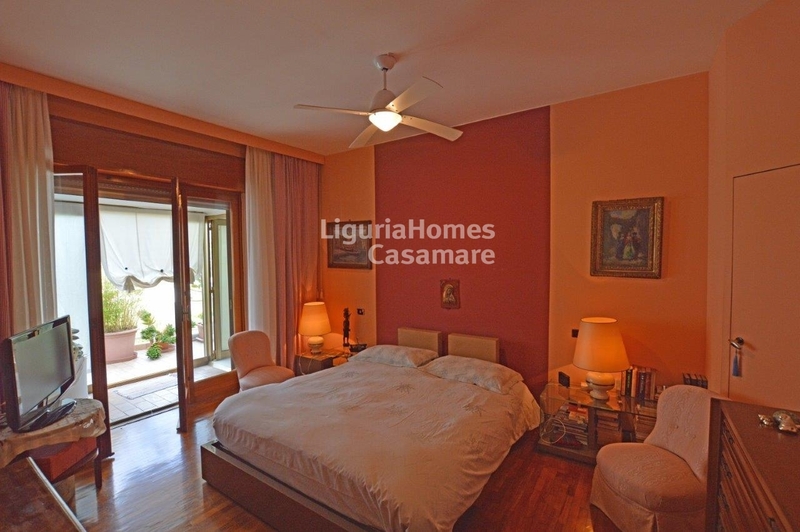 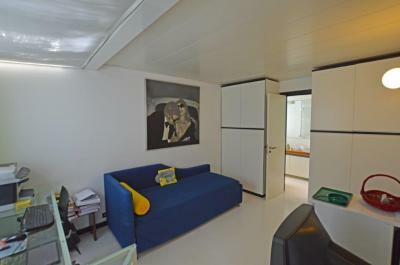 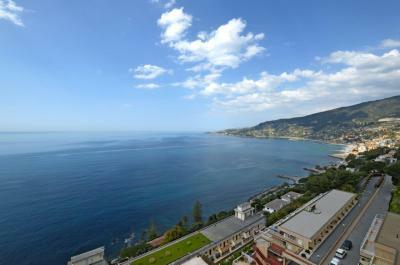 Spacious terrace with jacuzzi and panoramic seaview over Ospedaletti Bay. 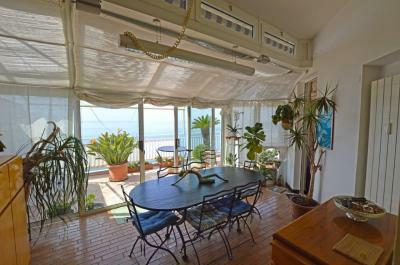 A big advantage of this lovely penthuose with a big terrace and seaview is the covered car parking for 2 cars.